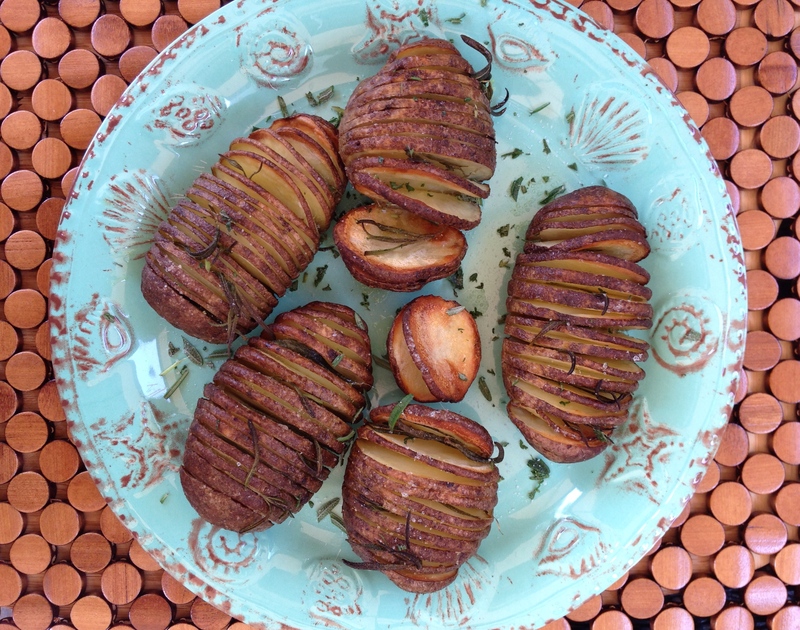 Using a sharp knife, cut each potato crosswise into 1/8-inch (3-mm) slices, cutting only three-fourths of the way through the potatoes so they stay intact. Place the potatoes, sliced side up, on the prepared baking sheet. Drizzle with the oil and season generously with salt and pepper. Transfer to the oven and roast, basting the potatoes occasionally with the melted butter, until browned on the outside and tender in the center, about 1 1/4 hours. 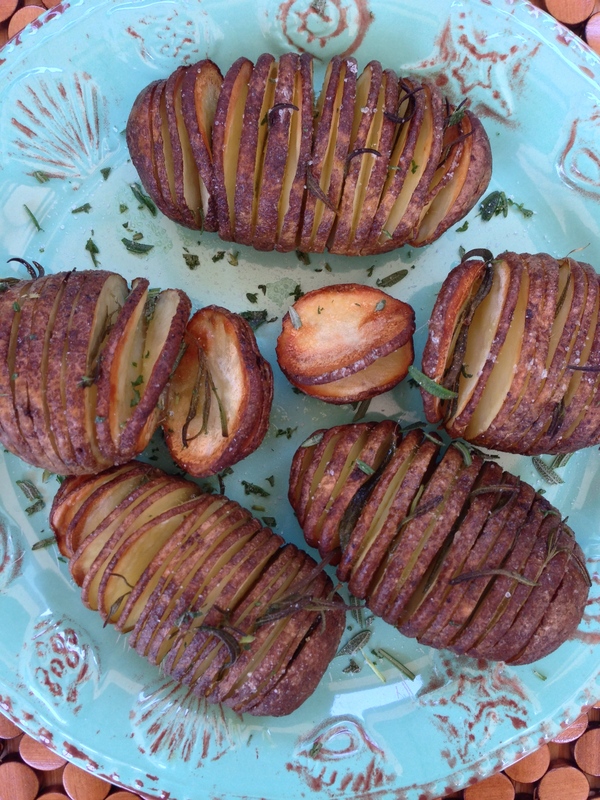 Garnish the potatoes with chives and rosemary and serve immediately. Nagyon jol néz ki. Holnap vacsira ez lesz a köret! Köszi az ötletet!